We can’t be exactly sure when was the first time someone tied a vine around their wrist and realised what a lovely decoration it made, but it sure did catch their fancy. 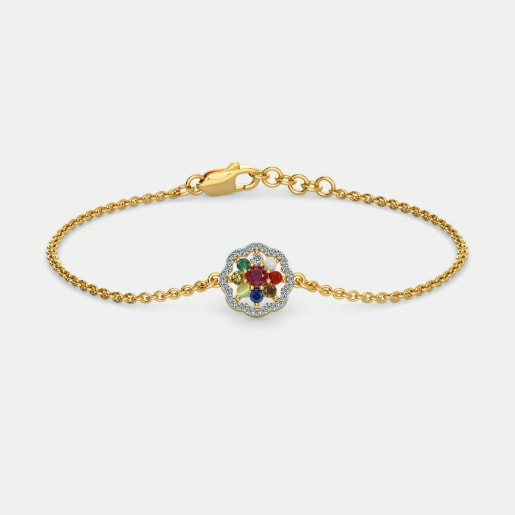 That started the journey of the innocuous early bracelet that has evolved across the ages to fascinate and tantalise both the genders with its dramatic appeal. When gemstone bracelets appeared on the jewellery map, they extended a new meaning to fashionable jewellery. Incredibly varied, gemstone bracelets have always appealed to the aesthetic sense of both men and women. Today gemstone bracelets are sported for many reasons apart from their distinctive fashion appeal. Bracelets adorned with gemstones are worn to experience the benefits of gem therapy that relate to astrological causes. Beaded gemstone bracelets are preferred by individuals who want to remain connected to their spiritual side through the use of specific gems. Many gems are known to possess medicinal properties and are worn in the form of bracelets to control different diseases. Gemstone bracelets are also sported as good luck charms. Whatever be the reason for wearing a gemstone bracelet, this form of ornamentation never fails to attract attention. If you are looking for exceptional gemstone bracelets that unsettle the typical notions of design and style, you have to check out BlueStone’s gemstone bracelet collection. This unique collection celebrates the essence of innovative gemstone bracelet designs crafted to perfection. Each bracelet dramatically varies in style, design, and beauty. Created for the style-conscious individual, this collection has pieces that cater to the fashion sense of the modern men and women. Our collection has pieces crafted in gold. The shiny metal forms the perfect backdrop against which the colourful gemstones sparkle vibrantly. Being a reputed name among the online jewellers in India, BlueStone brings to you the very best of quality and creativity. You can now exceptional designs from the comfort of your home or office. What’s more, our gemstone bracelets price range is competitive and offers you the best value for your money. So, now you can buy gemstone bracelet designs without burning a hole in your pocket. BlueStone’s gemstone bracelet collection is all about celebrating your style. That is why we have designs that will make you stand out from the crowd. You will be spoilt for choice when it comes to selecting gemstone bracelets that you can flaunt at different occasions. Be it a party, a festive occasion, an anniversary, a special occasion, a romantic date, or simply wearing to the office every day, we have the most exclusive designs that will steal your heart. 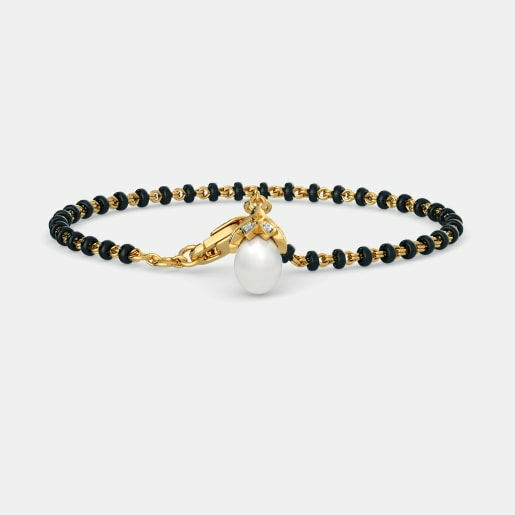 Take, for instance, our Mystic Shimmer Bracelet. It is an elegant design crafted for the modern woman. 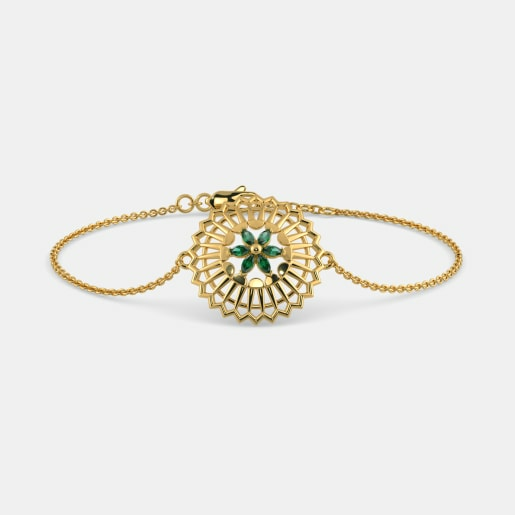 Highlighted with six shimmering green emeralds, this 18k gold bracelet is perfect to be flaunted at any festive occasion. A must-have item in your jewellery collection if you love the ravishing green hue of emeralds! When you want something feminine to highlight your style at a romantic date, you can never go wrong with the timeless floral theme. 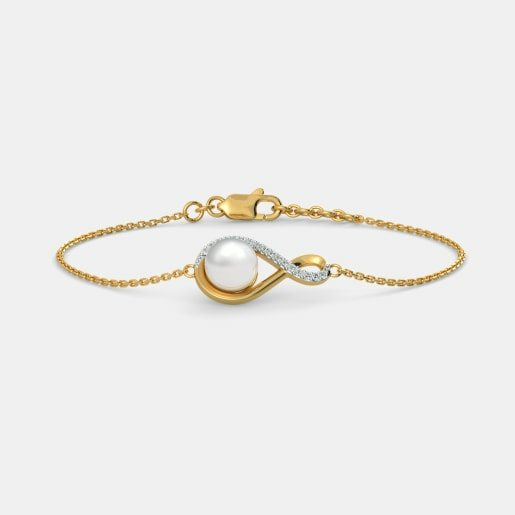 For those looking for the beauty of a flower, charm of white pearls, and the never-failing appeal of gold in one piece, we have the Nayah Bracelet. 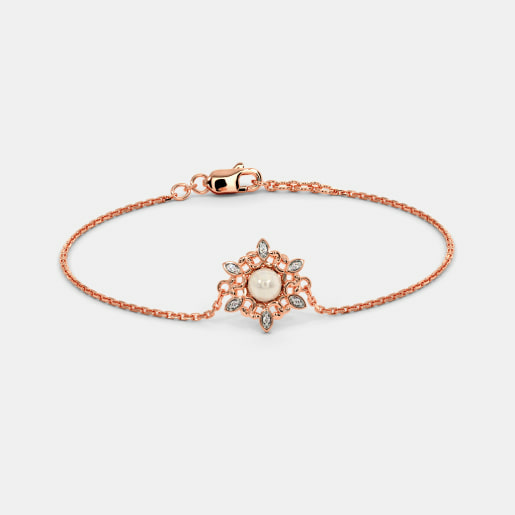 Made of 18kt gold, it features a fabulous flower studded with a white pearl. If you think mangalsutras are meant only to be worn around neck, get ready for a surprise. Trending among the modern brides is the mangalsutra bracelet. Yes, you heard it right. 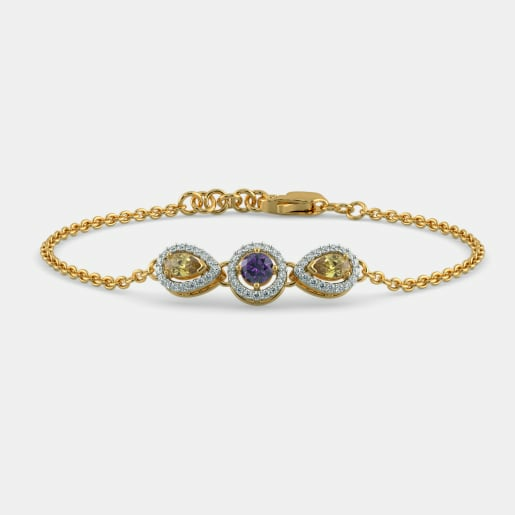 These bracelets are modern interpretations of the classic mangalsutra design and can be worn around your wrists in a fashionable display of your marital status. 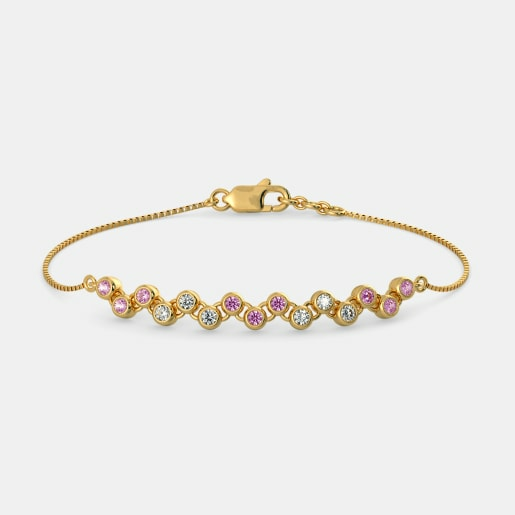 We at BlueStone has a fascinating range of mangalsutra bracelet designs for the modern women who wish to flaunt their wifedom in a unique yet stylish way. 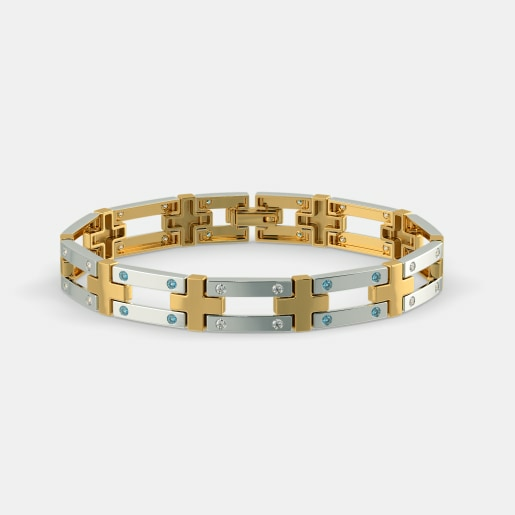 Take a look at our Kiya Bracelet. It has a lovely gold chain design interspersed with black beads and an alluring floral pattern in gold set with a single red ruby. Wear it with any attire and it will surely complement your look. Most women get confused while selecting bracelets that they can wear to their office. Our Holika Bracelet can be the perfect answer to such confusion. Blending sophistication with style, this 18k gold mangalsutra bracelet comes studded with five red rubies. The Kalika Mangalsutra is for the lovers of pearl. This perfectly crafted mangalsutra design has three beautiful while pearls set in its black-beaded body. Whether you are enjoying a weekend party or attending an official meeting at your workplace, this design can be a perfect mate for your wrists. The eternal beauty of black and the perpetual charm of white make this piece neutral enough to be worn with any outfit. When it comes to the modern man, we have some of the most attractive gemstone bracelet designs that will enhance their persona. The Maestro Bracelet is one such bracelet. Created with 18k gold, this unique piece will draw instant attention with its 18 red rubies. 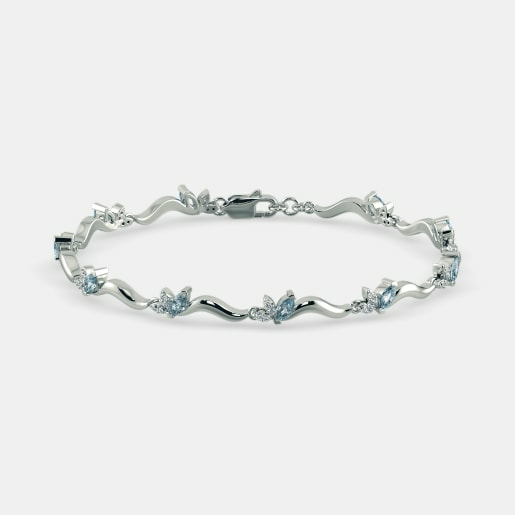 If sapphires are what your heart desires, then the Neo Royale Bracelet is just ideal for you. It has 10 princess-cut blue sapphires shinning against a base of 18k gold. 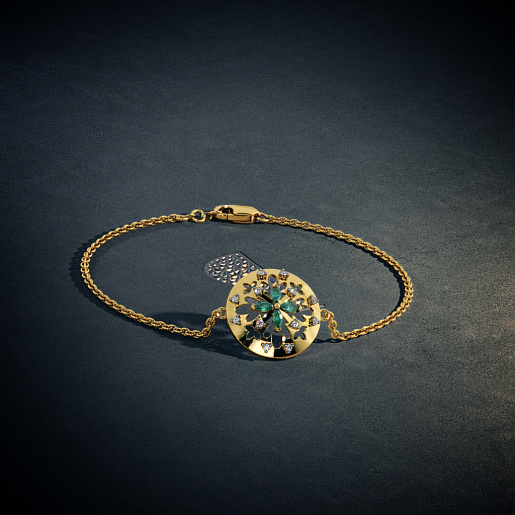 Women out there, take a look at our Maharaja Pendant. You need not think hard what to gift your man on your next anniversary. Just buy this ruby-studded bracelet and it will add a regal charm to your man’s wrists. There’s so much more at BlueStone’s online store. Start exploring to find your perfect gemstone bracelet today.